The Texas General Land Office is the lead state agency for managing disaster recovery grants through the U.S. Department of Housing and Urban Development (HUD). For more information about immediate recovery resources and efforts for Hurricane Harvey, please visit https://www.disasterassistance.gov/, and to find your local Red Cross Chapter visit http://www.redcross.org/find-your-local-chapter. With 367 miles of Gulf beaches and more than 3,300 miles of bays and estuaries, Texas has one of the longest coastlines in the country. The GLO Hurricane Preparedness and Planning initiative is a focused effort to pool local, state and federal resources, and begin prioritizing efforts to build a resilient Texas coast. This is the GLO’s comprehensive, long-term planning framework to protect and promote a vibrant and resilient Texas coast that supports and sustains a strong economy and a healthy environment. In 2009 and again in 2015, the legislature approved funding for the closure of Rollover Pass. The General Land Office has partnered with Galveston County to develop plans for the closure, and the redesign will restore the natural salinity levels in East Bay, while providing a natural renourishment to Galveston County beaches. Plans include the construction of a bayside park and gulf-side recreational facilities, as well as a pier to continue the longstanding fishing tradition that Texas know and love. For more information on the environmental impacts and the cost to taxpayers, please visit Rollover Pass: Why closing it is the right thing to do. The USACE in partnership with the GLO will investigate the feasibility of projects for flood reduction, hurricane and storm damage mitigation and ecosystem restoration along the entire Texas coast. The end product will be a comprehensive plan that could include large-scale hurricane surge protection projects. This study will be conducted in coordination with the Texas Coastal Resiliency Mater Plan. In 2013, the GLO entered into an agreement with the Gulf Coast Community Protection and Recovery District (GCCPRD) to conduct a three phase Storm Surge Suppression Study. The study is a technical, scientific based effort to investigate opportunities to alleviate the vulnerability of the upper Texas coast to storm surge and flooding. 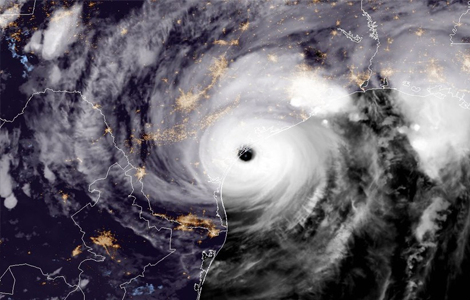 The Texas Coastal Infrastructure Study identifies the critical infrastructure assets, such as water treatment facilities, roads and bridges, within the 22 county coastal study area that are most vulnerable to future storm impacts similar to those experienced during Hurricanes Dolly and Ike. The United States Army Corps of Engineers (USACE) is mandated to determine the level of practicality and feasibility of potential coastal storm risk management and ecosystem restoration projects within Brazoria County and the Jefferson-Orange County study area. The USACE is required to conduct this study to determine if there is a federal interest in constructing such projects, and if so, to recommend projects for Congressional approval . The GLO is the non-federal sponsor. This report presents a desktop inventory of the Texas coastal soft sediments available through a compilation of engineering and geoscientific reports, peer reviewed publications, and sediment databases in state and federal programs.